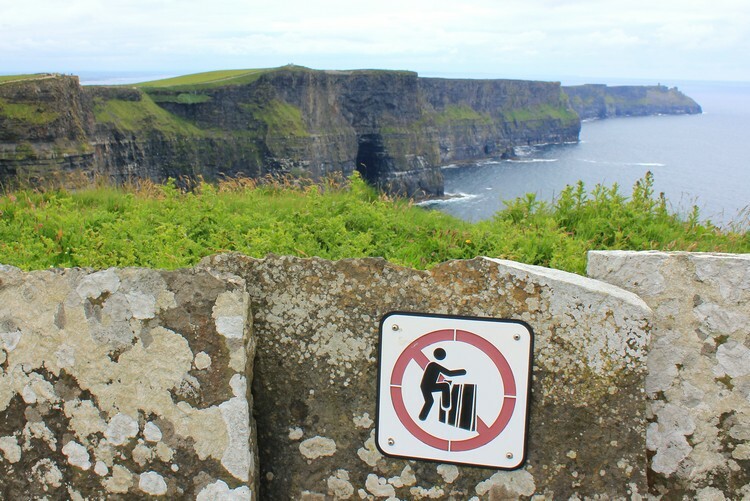 If you travel to Ireland, you must see the Cliffs of Moher. Here's Why. 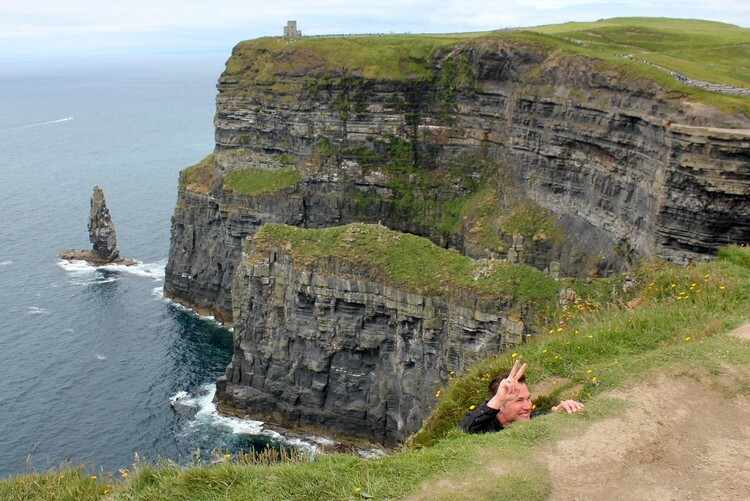 Arguably Ireland’s top tourist attraction, the towering Cliffs of Moher are well worth the hype. 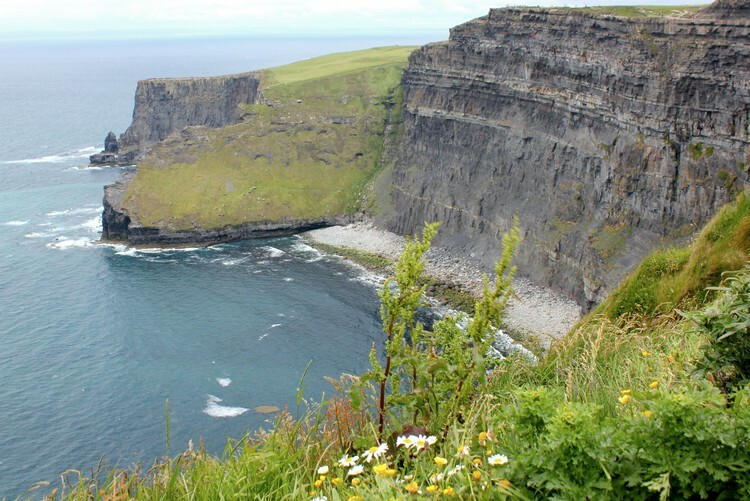 Located on the west coast of Ireland in County Clare, these rocky sea cliffs, along with the karst limestone hills of the Burren, are recognized at a UNESCO Global Geopark. 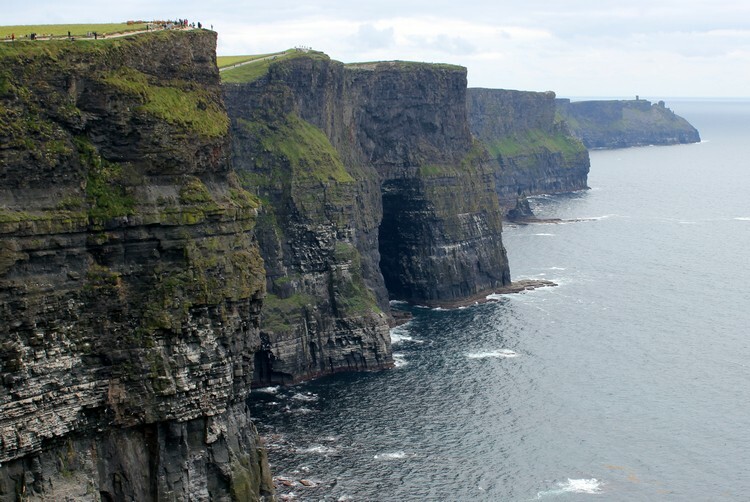 In our opinion, the Cliffs of Moher, and the coastal region that surrounds them, is THE reason to travel to Ireland. Okay, the Guinness might also be the reason. 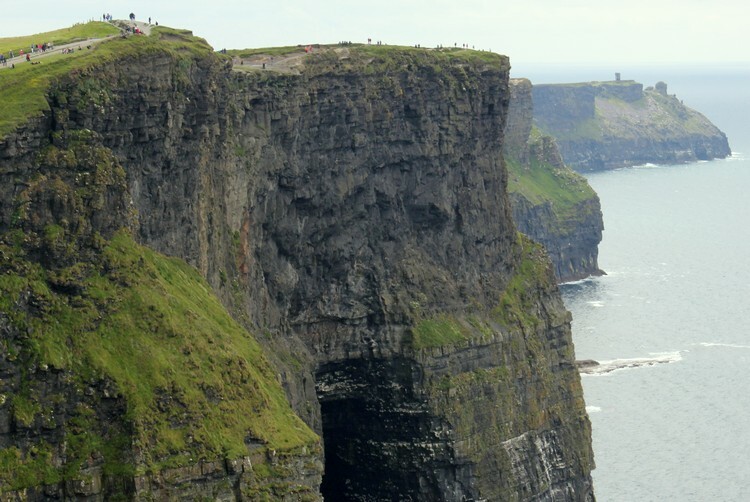 These spectacular sea cliffs run for 14 kilometres and rise 700 feet above the ocean at their highest point. 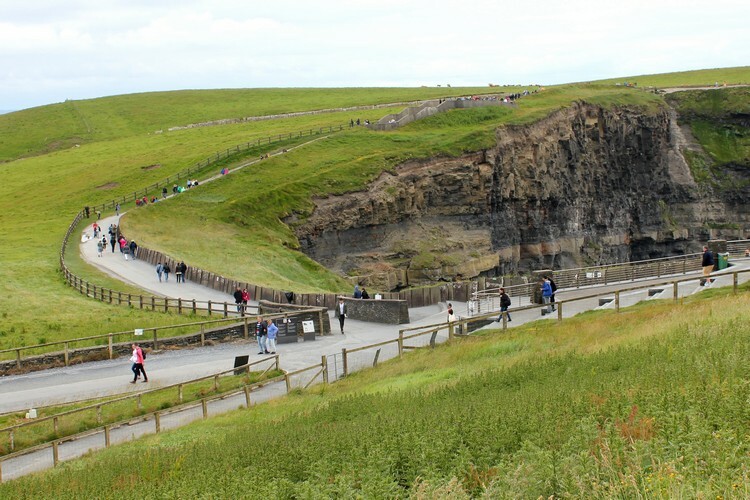 In 2016, the Cliffs of Moher saw a record 1.4 million visitors [source]. 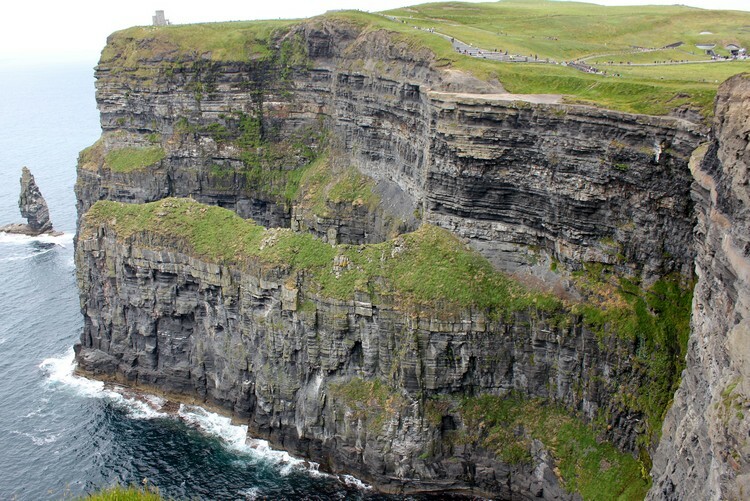 The drive to the Cliffs of Moher is just as amazing. 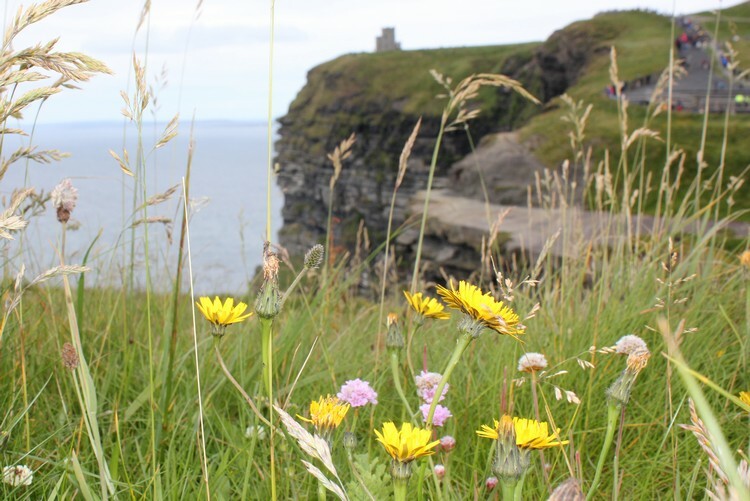 We zigged and zagged along the Atlantic coast, passing through traditional Irish towns and villages that are hundreds of years old. 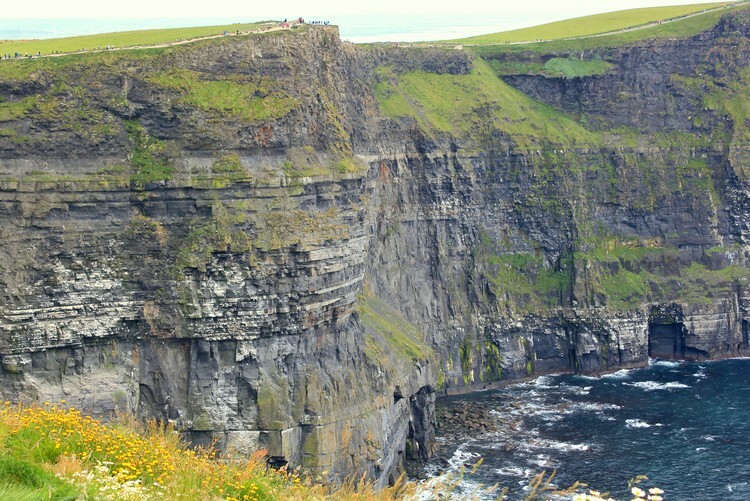 The moment we looked over the edge and saw these magnificent sea cliffs will forever be etched in our memories. 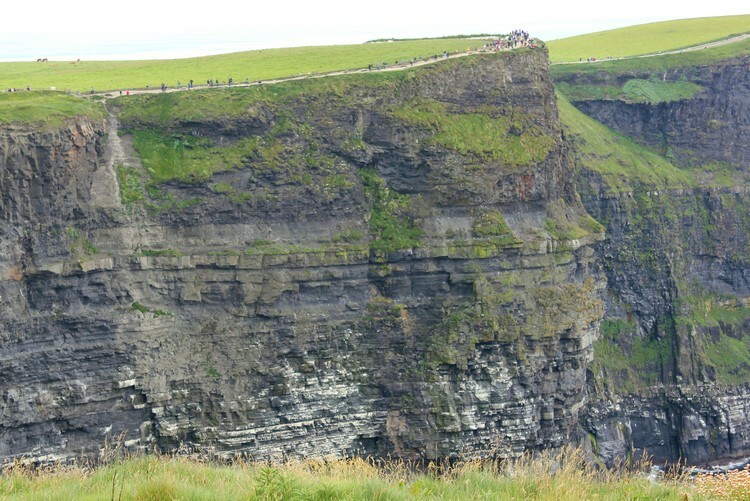 If you look closely, you can see the tiny people walking on the clifftop. 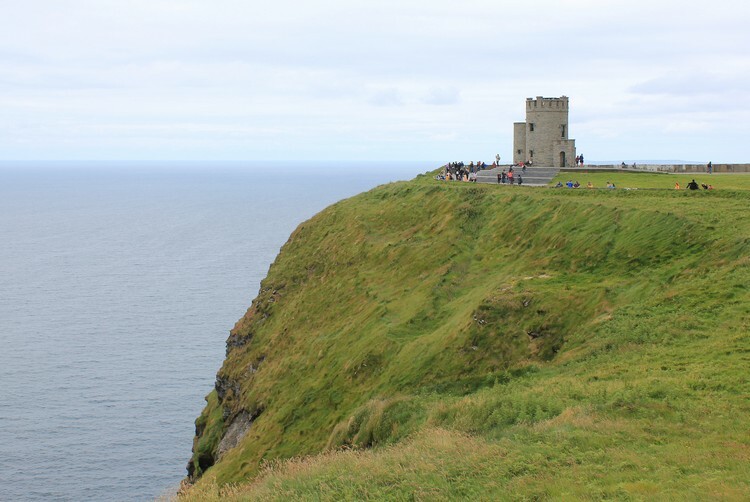 O’Brien’s Tower is the highest point at the Cliffs of Moher. 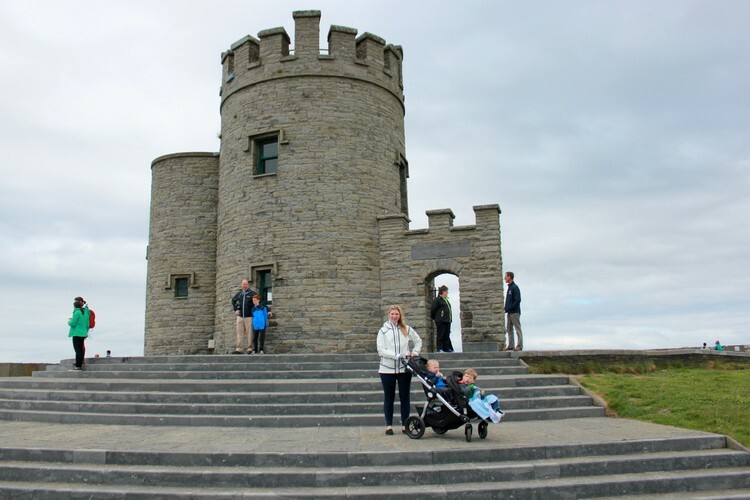 The tower was built in 1835 as an observation tower for tourists. You can access the rooftop for an additional fee of 2 Euros per adult and 1 Euro per child. Don’t be like this guy. 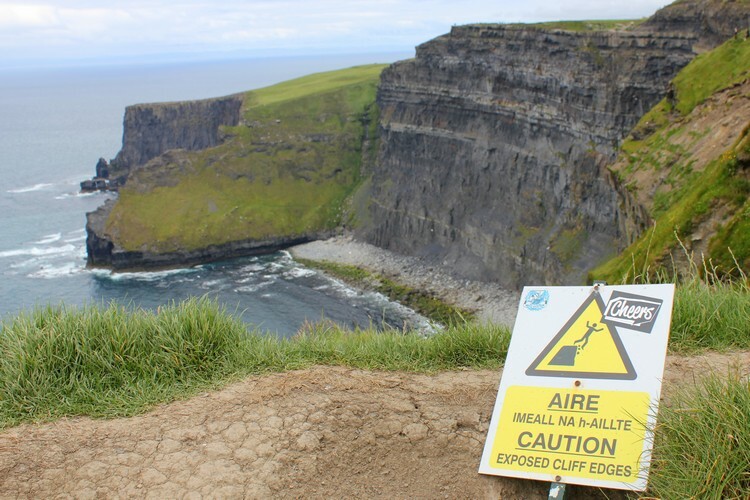 Every year people fall off these cliffs to their death. We saw a lot of people getting dangerously close to the edge in pursuit of that perfect Instagram photo. It’s not worth it people. 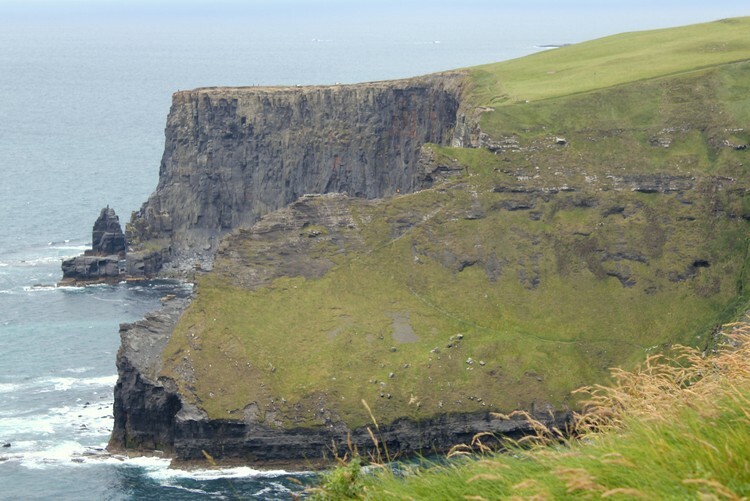 The Cliffs of Moher are located on the west coast of Ireland, close to the villages of Liscannor, Lahinch and Doolin in County Clare. 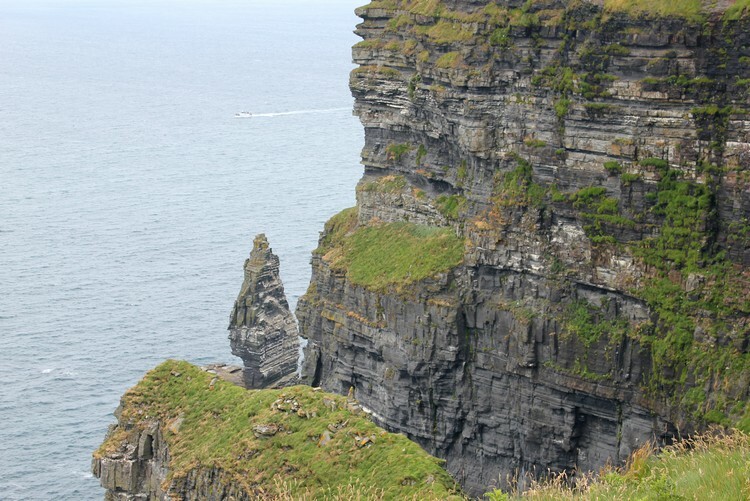 Most people will visit the cliffs as a day trip from Galway. We stayed at the Clayton Hotel Galway. and would recommend it if you have a vehicle. You will find more hotel options here. We highly recommend renting a vehicle and driving yourself to the sea cliffs. 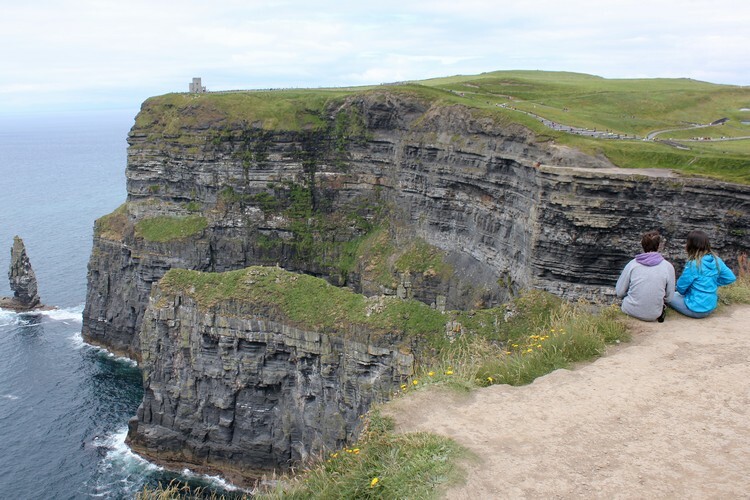 The journey is just as spectacular as the sea cliffs. Make sure you dedicate time to visit Dunguaire Castle. If you don’t have a vehicle, there are plenty of organized tours you can join. You can also take the public bus. 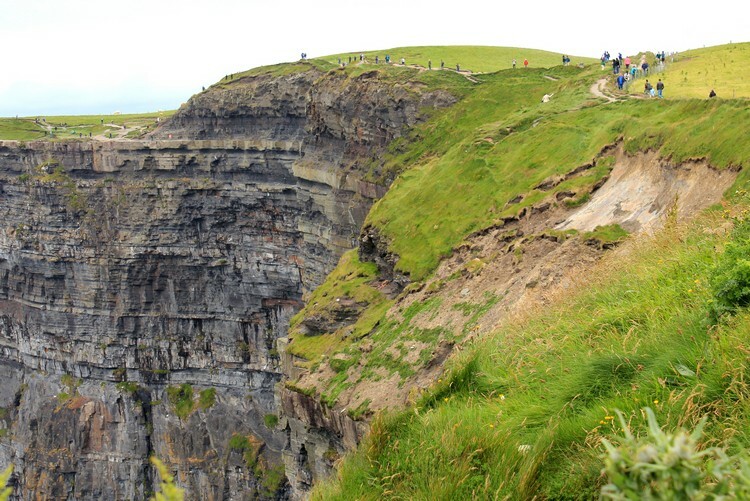 There are direct connections between the Galway Bus station and the Cliffs of Moher that run several times per day (during peak season). Hours of operation at 8:00 AM to 9:00 PM (during peak season). Try to avoid visiting at the busiest time of the day, which is between 11:00 AM to 3:00 PM. The busiest months are June, July and August. Be prepared for bad weather. It rains all the time in Ireland, so make sure you bring rain jackets. It’s also quite windy up there, so sweaters are recommended (evening if it feels warm outside). 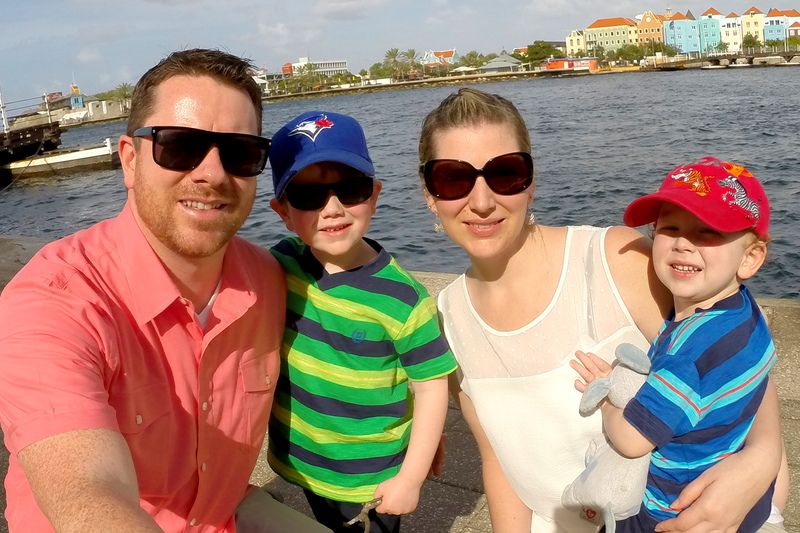 If you’re traveling with young children, and you have a stroller, bring it with you inside the park. It’s a big area and it’s quite hilly, so your little ones will get tired. Most of the paths are stroller friendly, however there are a few sections that are not. We suggest you bring a blanket for the stroller and plenty of snacks. There is a cafeteria and gift shop at the facility. Price of admission is 6 Euros per adult. Children under 16 are free. Parking is included. 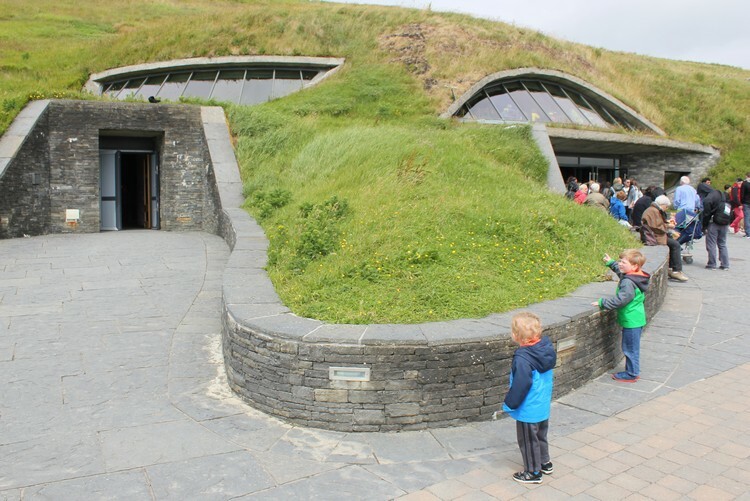 Have you traveled to Ireland? 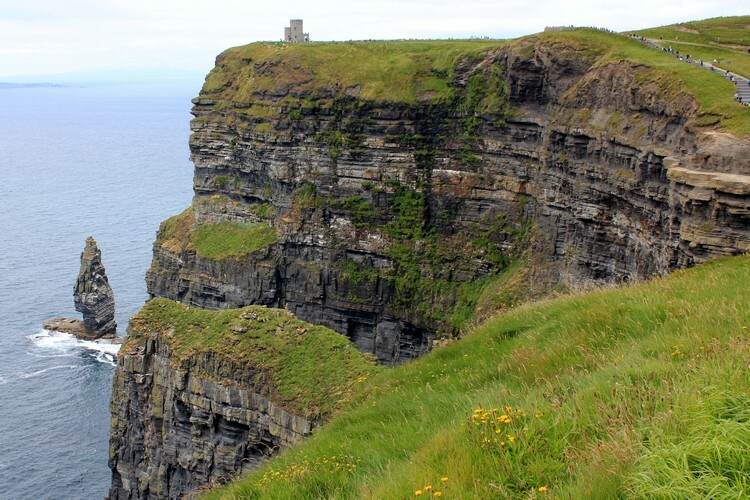 Did you visit the Cliffs of Moher? Amazing pictures! 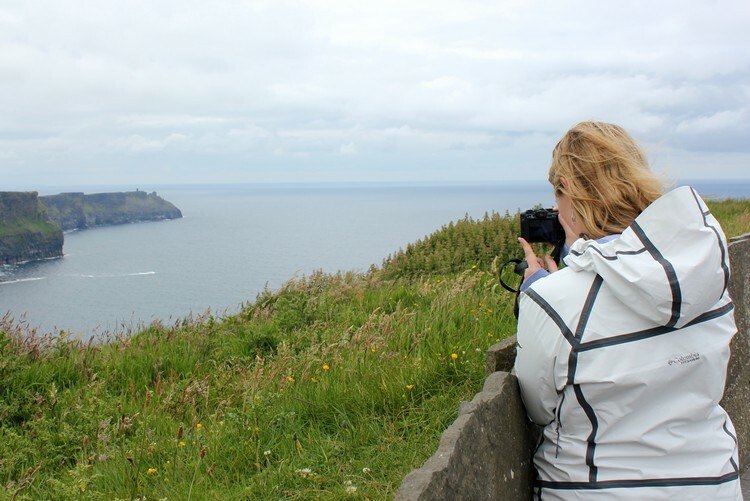 I couldn’t the cliffs not being part of any itinerary for a trip to Ireland.